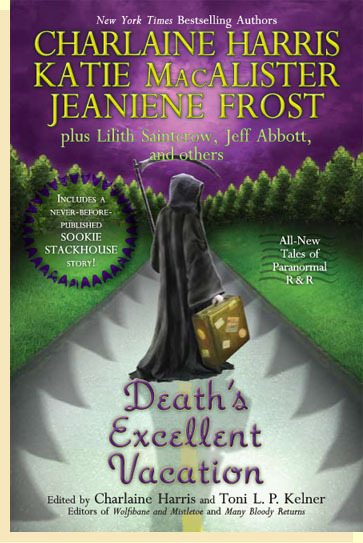 August 3rd marks the release day for the new paranormal anthology, Death’s Excellent Vacation. This title includes a new Cat & Bones story from Jeaniene Frost, a new Sookie Stackhouse short story from Charlaine Harris and other original tales from notable authors. Click here more information and where to buy. oh, just got mine in the mail… now I just need a little time to read it!